The complexity of our digital lives has resulted in many different types of accounts, logins and passwords. The year after somebody dies is one of the most at-risk times for identity theft. Because death certificates are public records and obituaries are posted in newspapers, it is easy for criminals to search through the recently deceased’s records and create fake identities. This presentation covers many ways your identity can be stolen and ways to prevent it from being stolen when you are no longer here. You will also learn how to make it easier for your Digital Asset Executor to close your accounts and perhaps use one of them as a Memorial page for you. 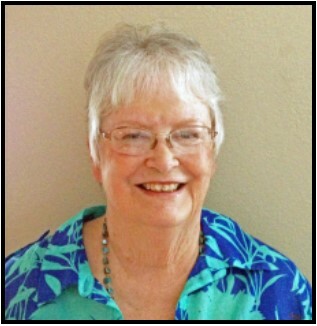 Judy Taylour, a 31-year member of the SCV Computer Club, serves as President, Editor, and Webmaster. She is Chair of several APCUG (an international organization of technology and computer clubs) committees and a member of APCUG’s Speakers Bureau. 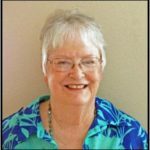 She is also co-facilitator for the Southern California Regional User Group Summit (SCRUGS), a group of representatives of computer clubs in Southern California that have met quarterly for over 20 years to share ideas and presenter information, solve problems, etc. Judy taught adult education computer classes for 22 years through her local high school district. She is a member of the Pierce College Computer Applications and Office Technologies Advisory Committee that meets annually to suggest courses for the next school year. Judy is a firm believer in life-long learning. To read an archived User Friendly issue, in the right hand menu column click on the pointer triangle next to User Friendly Issues. When the list of available items is shown, click on the desired one. To listen to the audio portion of past General Meetings in streaming format, in the right hand menu column click on the pointer triangle next to Podcasts. When the list of available Podcasts is shown, click on the desired podcast. In an effort to keep spam bots from harvesting e-mail addresses, the e-mail address above is published such that you cannot click through to your mail client.